If you are searching for a Mercury Monterey used Transmission or Mercury Monterey Rebuilt Transmission you need to know there are so many places and so many phone rooms full that only care about the profit they are making when locating you a transmission. For the past 25 years in the salvage business I have to say the only way to get a good replacement Transmission is to check out the Business first. We will work with you to find the price and mileage that you are looking for. We pride ourselves in staying a 5-star company for the past 10 years and cutting off the sales gimmicks. we have a word which we believe in it ourselves. treating you the way we ourselves would like to be treated. Do not waste your time on checking the price and availability then finding out it’s all a lie because the business is an F rated by the BBB. so my advise as a business owner is to check out their BBB report and their BBB reviews. plus search them on internet if they are legitimate business or just a website. now that you landed on our business, I ask you check us out first, we will be happy to help you with honesty to find your right part. When you are looking for a low mileage and Tested Used Mercury Monterey Transmission allow us to Help you in your search. With our friendly, low overhead, family run business will do our at most to make the best out of a bad situation. Here at Sharper Edge Engines we take pride in shipping the right part to our customers. Much of our business is predicated on reorders and repeated Orders of both used and Rebuilt Mercury Monterey Transmissions. We want to be your number 1 source. There are so many makes and models of cars and trucks. some of them are perfect and they run for hundreds of miles and some have high stressed Transmissions. 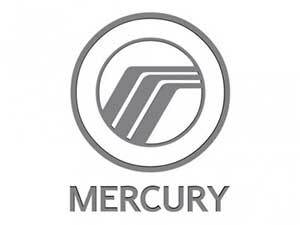 we are here for you if you are in a need of Mercury Monterey transmission.